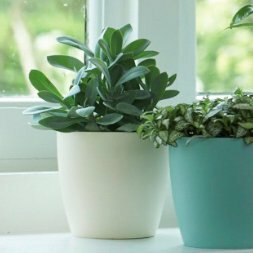 A classically shaped plant pot made of contemporary lightweight plastic. Perfect for trailing plants on shelves. Available in matt warm White or matt Black. Dimensions: 18cm diameter by 17cm tall.